Sergeant Chris Smith has been a Deputy with the Iredell County Sheriff's Office since 2004. He is currently assigned to the COPS Unit which includes the Motor Squad. Sgt. 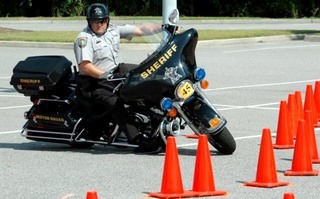 Smith received his Police Motorcycle Operator Certificate through IPTM in conjunction with the Maryland State Police on April 29th 2005 in Charleston South Carolina with the Charleston County Sheriff's Office.